The Fredericia Ramparts is one of the best-preserved ramparts is Northern Europe. 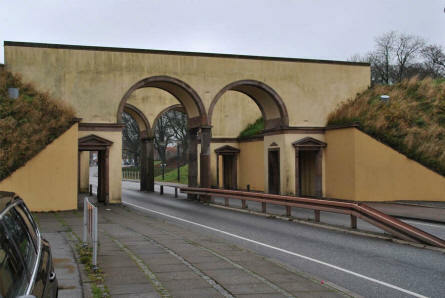 The history of the rampart go back to the 1600-century when Denmark was a war with Sweden. In 1849 and 1864 it played and important role in the wars between Denmark and Germany. 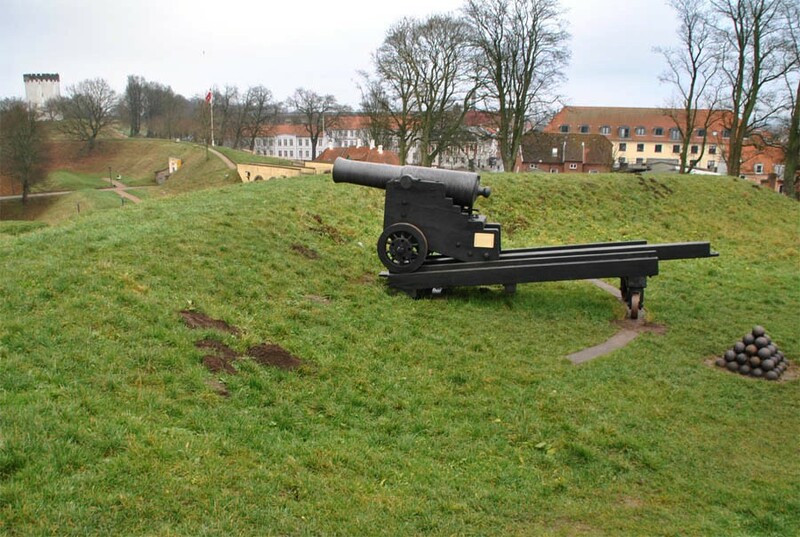 After the Danish defeat in 1864, which is plays an important role in Danish history this rampart type of fortifications was finally abandoned by the Danish Armed Forces. Today the rampart is a public park with free access. 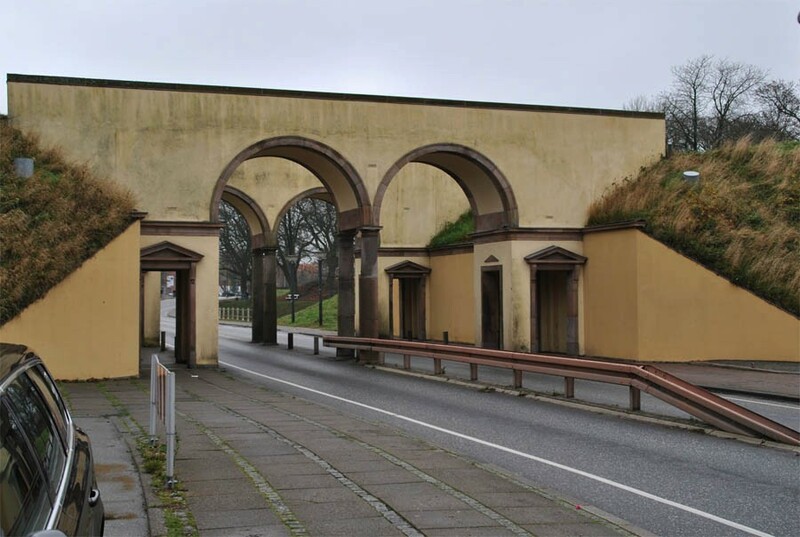 One of the gates at the Fredericia Ramparts. 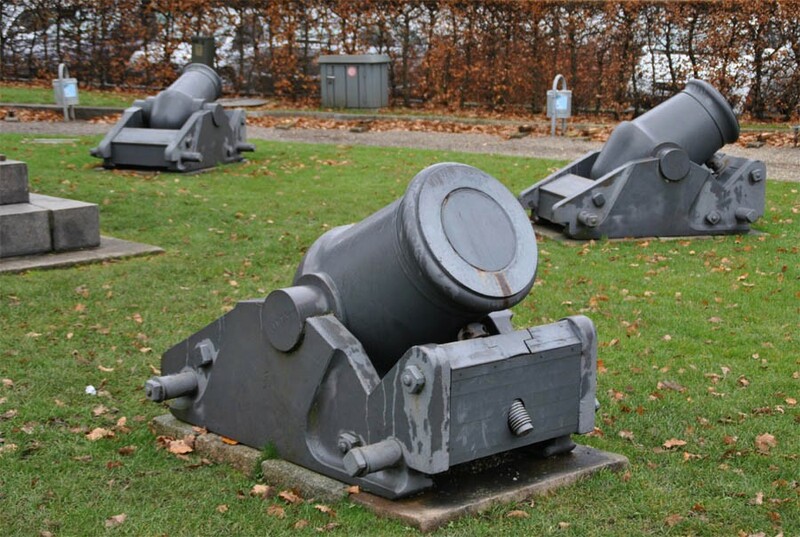 Some of the vintage mortars displayed inside the Fredericia Ramparts. 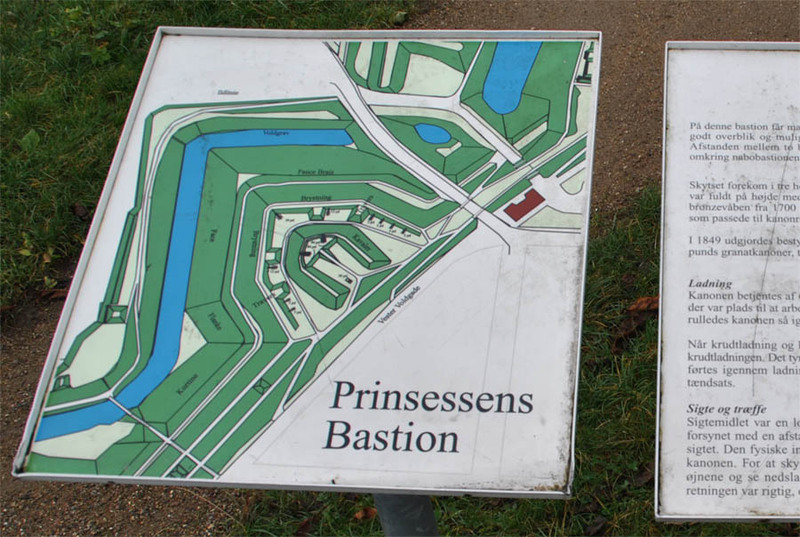 One of the many informative signs at the Fredericia Ramparts. This one shows the layout of one of the nine bastions that are a part of the rampart. 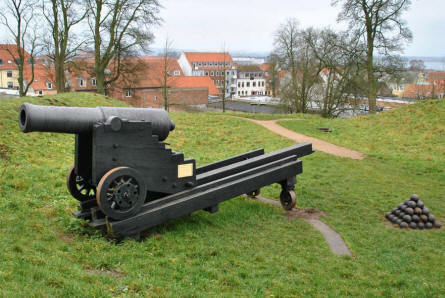 One of the many vintage canons displayed at the Fredericia Ramparts. 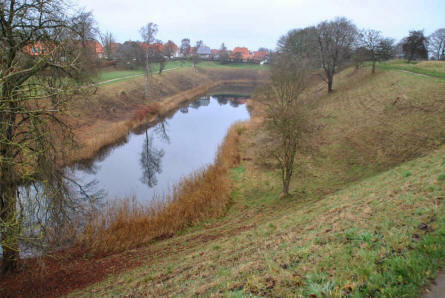 A section of the moat surrounding the Fredericia Ramparts.